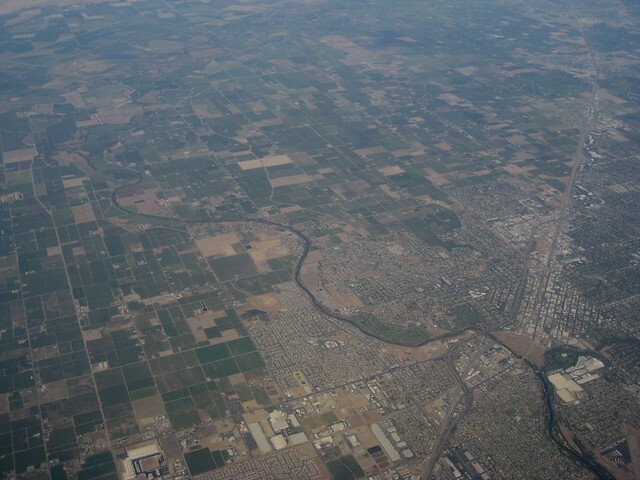 Situated in the very heart of San Joaquin County, its administrative center, Stockton is also its largest city. The city is home to over 300,000 people and the number of its residents is constantly increasing, as more and more people are deciding to move to this place. And the list of reasons why so many people want to make Stockton their new home is very long. First of all, this city is a four-time winner of the All-America City Award, which is given to the communities with the best connections among the local government, businesses, administrations, and of course, the residents. What this means is that if you decide to move to Stockton, you’re gonna be welcomed by its open-hearted citizens. And to give you a warm welcome, our team of Stockton movers is going to relocate all your stuff quickly and professionally, but without charging you too much. Sure, if you do a Google search on a phrase like ‘movers Stockton, CA’ you will be able to find a number of companies offering moving services in this part of Northern California. But, not all of them are actually capable of taking care of all of your moving needs. They might be able to transport your small furniture, but if you need to move some large items, like a piano, for example, you will have to look for a separate team of piano movers. In turn, you’re gonna spend more money, more time, and more nerves. Local moving. If you’re relocating from one place in Stockton to another, our local movers will be able to take care of the job as quickly as possible. Long-distance relocation. It doesn’t matter where your things are, we will have no problems transporting them to your new home. Commercial relocation. Apart from helping people with transporting their personal stuff, we can also help companies relocate their office items. Storage service. If your new place in Stockton is not yet ready, you can keep your stuff in our storage facilities, without worrying they’d get stolen or damaged. We’ll ensure they remain in top condition. What is it like to live in Stockton, CA? The mere fact that the city won the All-America City Award four times already means that the life here is really nice. Apart from friendly locals, the city is also great for its location. It’s situated in the heart of San Joaquin County and is well connected to all the major hubs in Northern California, including San Francisco, San Jose, and Sacramento. Still not convinced that moving to Stockton, CA is a good idea? Well, you should also know that the climate here is fantastic. The temperatures during summer never go too high, while during cold winter months they rarely drop below the freezing point. The average monthly salary in Stockton is just below $2,500, while everyday expenses aren’t too big. For example, a three-course meal in a restaurant in downtown Stockton is about 15 bucks. And when it comes to rent, you can find a place in the center of the city for less than $800 per month. Of course, we’re talking about one-room apartments, but if you would like to rent a larger place, you would have to pay at least two times as much. If you get a three-room apartment in the center of Stockton, you will have to pay about $1,888 every month, plus utilities, which should be about $150 in total. Denise booked moving from 424 Callan Avenue, San Leandro, CA #226 to 2244 Rosemarie Ln, Stockton, CA 95207. Our manger James helped to organize local moving. Our skilled mover Michael loaded all the valuables to 26ft track. Everything was delivered on time and in safety. 1350 Three (3) Ranch Road, Duarte, CA 91010. Judy booked moving from 8250 E Stockton Blvd, Sacramento, CA 95828; 2303 Glacier Place, Davis, CA 95616 ; 580 Scott St Apt. C, Monterey, CA 93940 to 1350 Three (3) Ranch Road, Duarte, CA 91010.. Our manger Michael helped to organize local moving. Our trained mover Richard loaded all the belonings to 26ft track. Everything was delivered on time and in safety.